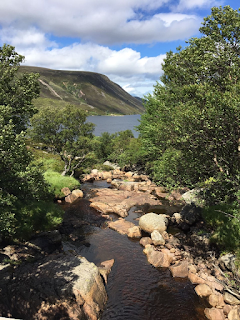 The fantastic weather continued on Sunday, an opportunity for a beautiful walk round Loch Muick, located 8 miles South West of Ballater in Aberdeenshire, the Loch is part of the Balmoral Estate. It is also found at the foot of Lochnagar, one of Scotland’s finest mountains. The area has many walking routes and a variety of wildlife including grouse and deer. A cool down with an ice cream, the perfect end to a gorgeous sunny Aberdeenshire weekend.